And a touch of leather..
During Paris Fashion Week we saw many dreamy outfits.. While we may be going into Summer here in Melbourne, we are in awe of this extremely chic Autumn inspired ensemble worn by Madelynn Furlong. 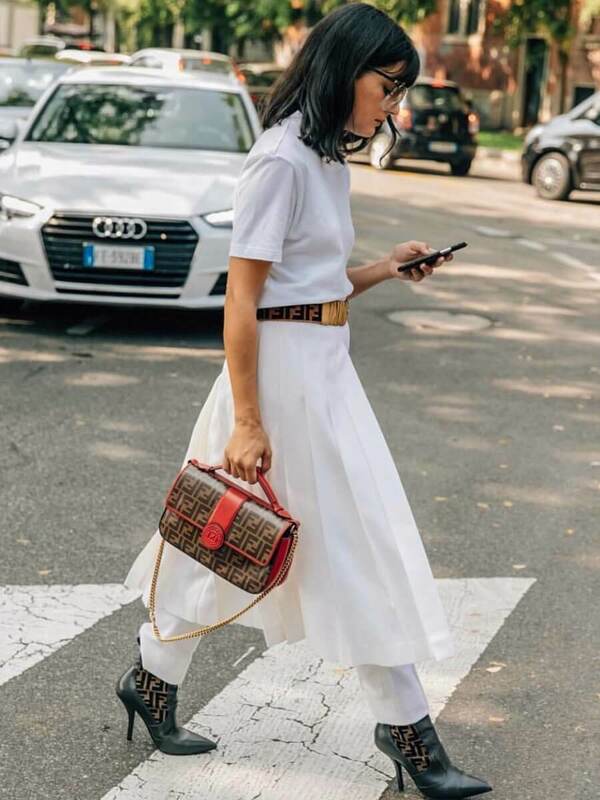 With a crisp white shirt, worn off the shoulder and tucked into her leather midi skirt, a pair of snake skin boots, snake skin clutch and a pair of retro sunglasses, Madelyn didn’t hold back on the wow factor. With the leather midi the hero piece, we will be sorting this outfit inspo away for the cooler months to come. Relaxed, baggy jeans are now in and we are stoked! All white, with a touch of Fendi..